With the World Cup in South Africa right around the corner, I thought it would be fitting to post one of the newest commercials produced by Puma. Just watching this gets me all excited, and I can't wait for the tournament to start! What team are you rooting for? Being from Finland I can't remember the last time my country ever made the World Cup so I have two teams I root for, and those are England and Brazil! If you would like to know my reasoning behind my choices shoot me a tweet or a Facebook fan comment and I'll be happy to get back to you! 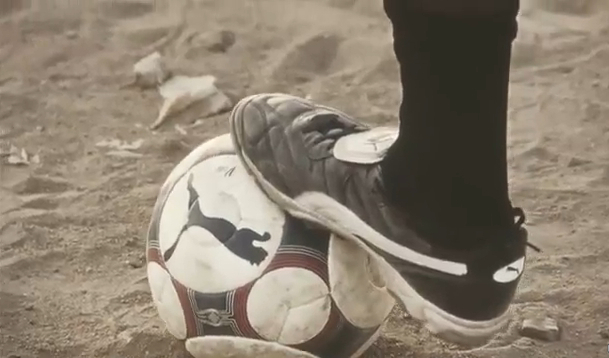 Puma does a great job of creating that harmony that football brings to people. Yes, I said it. Football! The name that actually makes sense ;) I don't know what it is about football but somehow it manages to bring everyone together and cheer for their respective countries no matter if you like the sport or not...probably one of the biggest reasons why it's so great. Anyways, after you check out this video, let me know what team you are rooting for? and more importantly will you be in South Africa?